Girls’ Swim and Dive hosts a pool party to raise money for the team. The members of the girl’s Swim and Dive team have been recently spotted walking TJ’s halls wearing long brown coats. This is not a new fashion statement, the girls are simply staying cozy in their swim parkas – long, faux fur-lined coats with hoods – that help keep them warm during meets and act as “warmups” that many other sporting teams are provided. These parkas will hopefully remain a TJ swimming tradition for years to come, but the cost of the coats is quite high. To cover the cost of the parkas, the team came up with the idea of throwing a fun pool party as a fundraiser. At the event, there will be food, drinks, and ice cream for sale. The locker rooms will also be available for students to change and store valuable items. Tickets are being sold by swimmers outside of the cafeteria during lunch for three dollars. Additionally, students can sign up to be part of the Big Splash contest and to race against teachers in the relay, both of which cost five dollars. Senior Conner Side is “in it to win it” with the Biggest Splash competition. Expect prizes galore, sponsored by community partners like ACE Hardware, Target, Qdoba, Jumpstreet, and others. The first 200 students in the door will receive a free lei to wear throughout the evening. 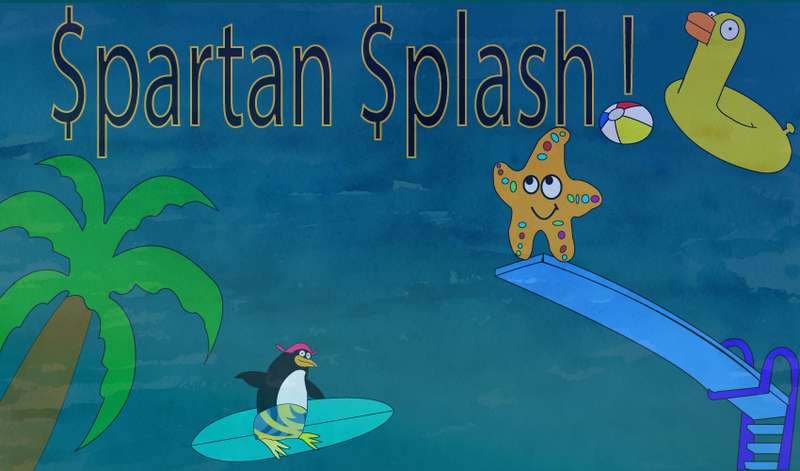 Coach Justine Sullivan hopes the event will “bring awareness to the fact that TJ has a pool, a swim/dive team, and that we have a lot of fun!” Spartan Splash will begin at 7:00 p.m. and students are welcome to enjoy the Beach Bash until 9:30 p.m..